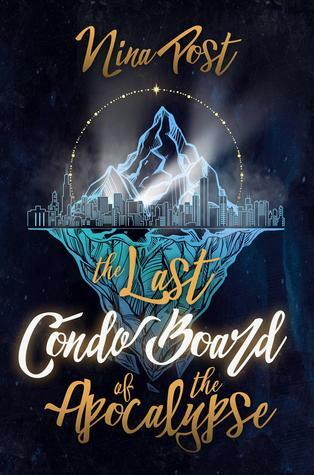 When hundreds of fallen angels and dimension-hopping minsters take over a high-rise condo building, a down-on-her-luck bounty hunter must team up with an unlikely group of allies to prevent the apocalypse. Kelly Driscoll tracks down monsters for a living but the job isn't what it used to be. Vampire hunters are the new big thing, but Kelly doesn't swing that way. When a reclusive client hires her to locate a rival angel, Kelly's search takes her to a downtown high-rise that has become home to hundreds of fallen angels and dimension-hopping monsters. 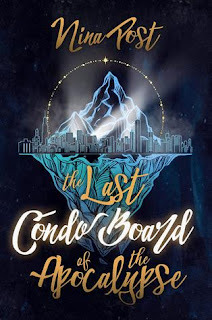 As the fallen angels take over the condo board, argue over who's handling pizza delivery, and begin planning for a little shindig otherwise known as the apocalypse, Kelly must team up with an unlikely group of allies to find her target and keep the fallen angels at bay. In the process, she befriends the reluctant Angel of Destruction, gets tips from a persistent ferret, uncovers the mysteries behind the Pothole City's hottest snack food empire, and tries to prevent the end of the world. This synopsis is just on point! I seriously cannot wait to jump straight into this book. It sounds like it is going to be one hell of an adventure and I cannot wait to be part of it. I am also mostly excited for the ferret. I am in that moment of my live where all I can think about is ferrets. And I am taking this book as a sign that I need to get one as soon as I can. Back to the book. I am interested to read about Kelly and this 'reluctant' Angel of Destruction. I mean, is he really reluctant? Is there going to be some romance in the future or are we talking BFFs? I really can't wait. Thank you so so so much Curiosity Quills Press for sending this book my way! I am so grateful for this opportunity! Just a quick thing to note; I have received this book at no costs of my own in exchange for an honest review. With that being said, please note that in no way has receiving this book affected my opinions. All thoughts are my own. The writing was good and concise. There was nothing too complicated and everything was easy to understand. The writing had a really good flow going and set a good and steady pace. The author did like her compound/complex sentences quite a bit but she broke it up nicely so that it didn't seem over baring. There are multiple perspectives to this story, which I personally found weren't really necessary but was still entertaining to read. This book's plot was interesting. We start off with an insight into the main character's, Kelly's, profession. The alternating point of views kind of break the story up for me and confused me a bit every now and again when I got too invested in one. I didn't think that the plot was bad but it took us a while to get where we needed to. I didn't really connect with any one character. I enjoyed Kelly's character and her somewhat "carefree" yet highly professional characteristic. But other than that, there was some great humor moments for some characters but most of them seemed very two-dimensional. Overall, I enjoyed the story. I thought it was great and entertaining but I don't see myself continuing on with the series. I wouldn't say that it is my least favourite Curiosity Quills Press book but it definitely was not my favourite. There were some high points for this book but it just wasn't enough for me. I really hope that I would love it but it just ended up being one of those books that just didn't really catch my attention. 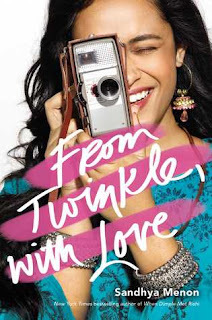 This book is definitely for those who want a good laugh every now and again! Thank you so much to Curiosity Quills Press for providing me with a copy of this book to review!